Open Bar, Cash Bar or Alcohol Free ? Open Bar – is a bar at which drinks are served free. The venue will charge a price per person for the bar and you will also have to factor in tax and gratuity. In addition, an open bar that offers all top-shelf liquor will certainly be more expensive than one offering lower-priced spirits. Some couples choose to offer only beer, wine and soft drinks throughout the evening. Others offer a signature drink during the cocktail hour along with the open bar. There are seemingly endless options so make sure you have a detailed description of what you want to be served in your contract. Cash Bar is a bar where drinks are sold by the glass. basically, each geust will pay for each drink. You may be tempted to have a cash bar for a variety of reasons, from cutting costs on your already swollen wedding budget to wanting to avoid having your guests overindulge before having to travel home from your wedding. Be prepared, there may be some feedback since most guests have an underlying resentment about a cash bar. 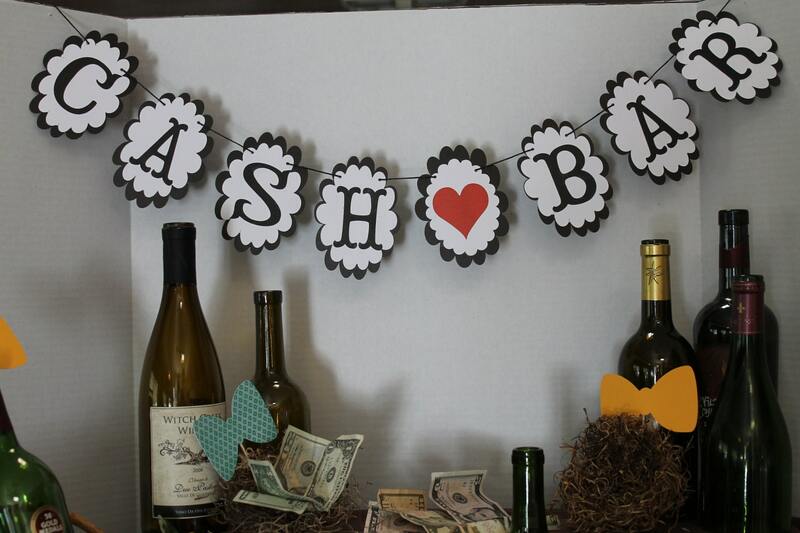 In fact, most wedding etiquette sites insist that a cash bar is considered ‘tacky’ no matter how cute the sign … yikes! Alcohol Free – This is a reception where there is no alcohol served at all. Your wedding festivities don’t have to suffer due to lack of alcohol, there are many options for beverages other than booze. You can serve fun, fruity beverages and still even have your own signature drink. If you do not drink alcohol or have alcohol related issues, don’t feel bad and don’t make any excuses. You can also sleep knowing that everyone can drive home safely and there won’t be any drunken mishaps during the reception. Whatever choice you make , it should be clearly listed on the invitation so that guests know what to expect.